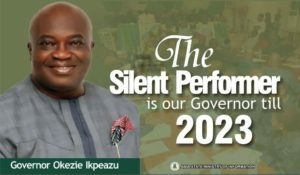 In the last few days, the whole world has been transfixed and spell-bound at the unprecedented but well-scripted plot to hijack the office of Governor of Abia State from the lawful occupant, Okezie Victor Ikpeazu, Ph.D., the candidate of the PeoplesDemocratic Party (PDP) at the general elections of April 2016. This evil plot is orchestrated by Mr. Samson Uchechukwu Ogahwith very powerful forces backing him. The good people of Abia State are shocked not only at the highly perverse and ridiculous judgment entered in his favor by an Abuja Federal High Court, but much more stunned at the obvious collusion by Agencies of State, in the very desperate Agenda to foist Ogah on them. Without indulging in too much legality, it is now a trite principle of Law and indeed of Public Policy that if there is a Judgment against an occupant of an elective position invalidating his election, he remains in office until he has exhausted his right of appeal which in the case of the Abia Governor, terminates at the Supreme Court. 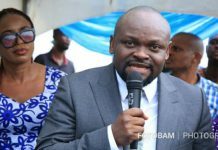 Yet, inspite of the fact that Okezie Victor Ikpeazu, Ph.D., has filed and served a Notice of Appeal against the decision of the Hon. Justice OkonAbang of the FHC, Abuja, purporting to have invalidated his election as Governor of Abia State as well as a Motion for Stay of Execution and said processes had been served on INEC, the latter who should be an impartial arbiter went ahead to RECKLESSLY issue a Certificate of Return to Uche Ogah. Nigerians ask: What exactly is the haste? The answer lies in the events of Thursday the 16th June 2016. On that day, Uchechukwu Samson Ogah, his Company, Masters Energy Oil and Gas Limited and their co-conspirator, One Deji Somoyewere docked and arraigned before a Tinubu Magistrate’s Court, Lagos, for alleged fraud. They were docked on three counts of forgery, conspiracy, etc with the Police alleging after an investigation, that Ogah forged documents and signatures with which they fraudulently opened an account in the name of Mut-Hass Petroleum and used it to commit fraud. Ogah and his co-conspirators were admitted to bail and the case was adjourned to 4th August 2016 for commencement of Trial. From that moment a very DESPERATE hunger for immunity before the 4th August 2016 was activated; large humongous resources was deployed and the rest as they say is now history. In the desperate attempt to obtain immunity so as to evade his criminal trial, Ogah and his co-conspirators are prepared to bring down Abia State, stain the judiciary and other institutions of State in order to achieve their selfish goals. Unfortunately for them, Abia is God’s own State and this conspiracy by enemies of the State will fail. Nigerians should be informed in no uncertain terms that (1) there is no requirement for payment of tax at all or as and when due in the Constitution, Electoral Act or INEC Nomination Form; the tax documents were included in the documents accompanying his Nomination Form by Dr. Ikpeazu’s aides by mistake; (2) The tax documents included by aides of Dr. Ikpeazuin the Nomination Form sent to INEC are genuine and there are absolutely no false entries in them and (3) Even if for purposes of argument (Not conceded), there were mistakes in the tax documents, Dr. Ikpeazu was not responsible for such mistakesand his mandate given by hundreds of thousands of Abia voters cannot be invalidated on the basis of a spurious and unfounded allegation. “Election into political office is a matter of getting the required number of votes as prescribed by law. In mature democracies, once an election is conducted according to law and a winner has emerged in compliance with the law, the loser like a good sportsman simply congratulates the winner. The will of the majority as required by law is regarded as sacrosanct. Power is recognised to belong to the people. In such mature democracies litigation is the exception and in some of them, unheard of. Our Electoral Act attempts to ensure that the will of the people which is expressed through the ballot box is difficult to upturn. Our courts also hold that there is a presumption that an election result is correct until the contrary is proved. See Buhari vs. INEC (2008) 18 NWLR part 1120 p. 246. Where therefore a loser in an election is dissatisfied with the outcome of the election our extant Electoral Act tries to ensure that he has a genuine case by holding him up to rigorous standards of proof. ” Per DANIEL-KALIO, J.C.A. (P. 34). 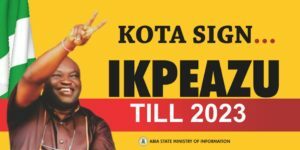 We have taken the trouble to set out these few examples of the principles governing our democratic process just to demonstrate to Nigerians what is under attack by Uche Ogah and his cohorts: a sacrosanct mandate donated to Dr. Okezie Ikpeazu by citizens of Abia State. It is the Constitution that sets out the criteria for eligibility to stand for election as Governor. By Section 177 of the 1999 Constitution, there are only four requirements or conditions for eligibility to the office of Governor: Citizenship of Nigeria, attainment of 35 years of age, membership/sponsorship of a Political Party and education up to School Certificate level or its equivalent. S. 182 of the Constitution sets out other events that could disqualify a candidate and non-payment of tax at all or as and when due is not one of them. There is no requirement for payment of tax under the Electoral Act. An examination of the Nomination Form for all elective offices in Nigeria including for Governorship shows clearly that Payment of tax is not mentioned and tax receipts or tax clearance certificates are not one of the documents required to be included in the form. Indeed, if copies of the Nomination papers and accompanying documents of Governorship and Presidential candidates at the 2015 General Elections for instance, are called for from INEC, Nigerians will discover that almost none contains tax clearance receipts. 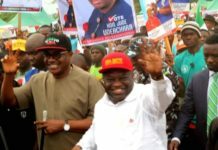 Dr. Ikpeazu’s tax documents were either mistakenly included in the bundle of documents accompanying his Nomination Form by his aides or simply added out of the abundance of caution. The question remains whether the election of a Governor can be invalidated on the basis of contents of a document which is not even required by the Constitution or the Electoral Act in the first place? Ogah and his co-conspirators claim that their action is brought under the provisions of Section 31 of the Electoral Act 2010 (as amended). The totality of that Section is that candidates should submit Nomination Forms, affidavits in support and the documents which demonstrate that the candidate meets the four requirements set out under S. 177 of the Constitution and in the Nomination Form of which a tax document obviously is not one. An interested person may apply for a CTC of such documents and if he believes that any information in the documents is false, such person can go to court for a declaration that the information is false and if he succeeds the candidate is disqualified from contesting the election. The first question which arises then is:can any other document other than those in proof of the eligibility requirements set out in S. 177 of the Constitution be the basis for such disqualification. 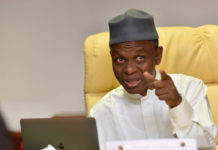 Does it mean that if in putting together his Nomination Form, affidavit and the documentsrequired by law, a candidate inadvertently includes his grocery Bill or his Nepa Bill, he is thereby disqualified from standing election if any of such Bills contains false information or incorrect entries? S. 31(5) is very clear and unambiguous, it relates to “information GIVEN BY A CANDIDATE in the affidavit or any document” submitted by him. Thus the alleged false entry or information in such document or affidavit must be one given by THE CANDIDATE HIMSELF and not that given by another person contained in a document submitted by him. Why would a candidate have his election invalidated because of a false statement or entry in a document given to him and submitted by him when he was not aware or responsible for any error the document may contain? An analogy is appropriate. If a person requires his Bank Statement for submission to an Embassy for Visa, he merely goes to his Bank, collects the request form, fills his name, account number and signs it. When he hands it over to the Bank official, his role is complete. The Bank will on their own generate the figures, compute the entries, produce it, print the Statement, stamp and sign it and hand it over to the person. Assuming the customer was contesting for Governorship election and either by error or in the mistaken belief that his account Statement is one of the documents to be submitted to INEC, includes it in his Nomination Form, is cleared to contest election, wins, goes through the challenge of his election victory at the Tribunal, Court of Appeal and Supreme Court and wins, should his election/victory be invalidated simply because, it was subsequently discovered that some entries in the account statement are incorrect or “false”? Okezie Victor Ikpeazu, Ph.D was at all times material to this dispute a PAYEE (Pay As You Earn Employee). His taxes are deducted at source by the appropriate authorities before his salaries are paid. He does not see the taxes; he does not remit it, he is given no receipts. 90% of PAYEEs do not see their tax receipts for the entire 35 years of their employment, until retirement and afterwards. There are only few instances in Nigeria where evidence of tax payment is required. However, if a PAYEE for any reason needs his tax receipt, he merely applies to the relevant tax authority or Board. The Tax authority will themselves call for his tax records from the Agencies where he worked, generate the figures themselves, compute it, write the receipts, stamp and sign it and then call the PAYEE to come and collect it. The PAYEE is not present at any stage of this process and has no input whatsoever; he is not the one who informs them as to how much he earns; he is not the one who assesses how much tax he should pay based on how much he earns; the tax authorities generate these figures themselves. 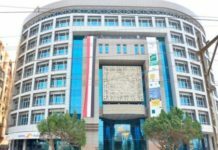 Where the PAYEE has asked for his tax receipts for the last three years, say 2013, 2014 and 2015, the tax officials will write it in the current tax receipt booklet being used by them. No tax official writing the tax receipt for a PAYEE which was already automatically deducted in 2013 for instance will go and start looking for the booklets used in 2013. All three years will be written in the current booklet and the official will write the receipts one after the other. In doing that, he could decide to write the receipt for the taxes deducted from the PAYEE’s salaries for 2015 first, then on the next page write that for 2013 and on the next page,that for 2014. The order in which receipts for the three years is written is irrelevant and in any case, the PAYEE is not present when it is written and has no input. To then suggest that the order in which the tax receipts were written or the fact that they were all written in one tax receipt booklet, one after the other, is “forgery” or “fraud” or “false statement” and on that ground proceed to annul the election of a candidate is the height of absurdity. All tax officials can confirm that a tax year ends on 31st December of every year which is denoted in every tax receipt. The fact that in some years, 31st December ends on a Saturday or Sunday is moot and goes to no issue. Whatever dates where written on the tax receipts by the relevant tax officials has nothing to do with Dr. Ikpeazu. The tax officials did file affidavits deposing to the fact that the documents they gaveto Dr. Ikpeazu were genuine, correct and certainly not forged. Ogah and his group have been giving the impression that there are conflicting Court Orders on the matter of his being sworn in but this is not true. The Hon. Justice Okon Abang gave no orders for Uche Ogah to be sworn in; only for INEC to issue him a certificate of Return. 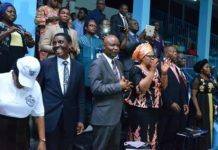 In that context, the order of interim injunction obtained by Dr. Ikpeazu restraining the Chief Judge of Abia State or any other judicial officer from Swearing in Uche Ogah stands alone and is unimpeachable. THERE ARE NO TWO CONFLICTING COURT ORDERS in this respect. 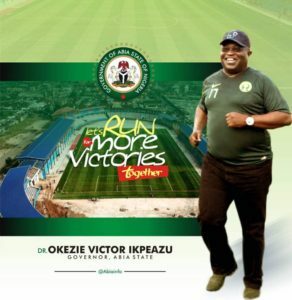 Dr. Okezie Victor Ikpeazu, remains the Governor of Abia State.On the contrary, the Hon. Justice Okon Abang made several orders which are conditions precedent before a Certificate of Return could be issued to Ogah but none of those conditions have been fulfilled as yet and so the purported issuance of said Certificate is a COMPLETE NULLITY. For instance, Justice Abang’s 6th Order was for PDP to submit the name of UcheOgah to INEC as their candidate for the 2015 general elections. The question of the validity of such an order in 2016 after the election in April 2015 aside, PDP has not yet forwarded Ogah’sname to INEC, so how could a Certificate of Return be issued to him contrary to the said order of Justice Abang? The enrolled order also mandated INEC to publish Ogah’s name as a candidate for the 2015 election; again, we are not aware that this has been done and again, the failure of INEC to fulfil this condition precedent before issuing the said Certificate renders it a nullity. Another ulterior card being played by Ogah and his co-conspirators is their false allegation that the Honorable Chief Judge of Abia State absconded from the State on Thursday the 30th day of June 2016. This is absolutely false. This false and wicked allegation is being made by Ogah and his co-conspirator to set the stage for finding alternative means other than the constitutionally provided procedure to achieve their evil enterprise. 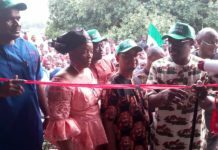 When the Bailiffs of the Osisioma High Court accompanied by Lawyers to Dr. Ikpeazu went to serve the restraining Order of the Osisioma High Court on the Hon. Chief Judge, she was sitting in her Court in the open, presiding over her cases. They had to wait until she rose around 4pm before they could serve her. Her record book, the testimonies of litigants and Lawyers who appeared before her can testify to this. The PDP, Abia State Chapter, calls on well-meaning Nigerians to take notice that our democracy is under assault by enemies of Nigeria. Those who ride the back of a tiger could end up in its belly. The PDP is a law-abiding and Democratic Party as its name indicates. But we will guard our hard-won electoral mandate with every lawful weapon available to us. We and our teeming supporters will resist this attempt at impunity and warn Ogah and his cohorts not to take our peaceful disposition for granted. Let wise counsel prevail!!!! 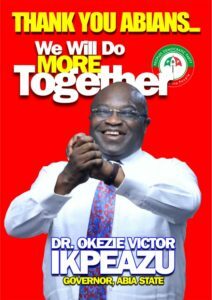 Long live Okezie Victor Ikpeazu, Ph.D., Long live PDP, Long live Abia State, Long live Nigeria.